Our consultant team provide unrivalled expertise and experience in all aspects of the property investment process. Undertaking strategic reviews and evaluating project investment options including formalising the business case for the project. Developing project programmes and management information systems to support effective planning and project control. Monitoring and reporting progress on individual projects or strategic programmes of work. Co-ordinating the input of the design team with clear reference to the client’s objectives to ensure that the optimum design solution is achieved. Acting in the post-contract role of client representative ensuring the proper and effective management and administration of the building contract. Developing process and governance models with RACI’s and team structures that support effective and efficient ways of working. Identifying the risks facing a particular project and the potential impact. Managing, and mitigating these risks and ensuring they are clearly and equitably allocated. Acting as a monitoring surveyor, providing a range of due diligence and project monitoring services for major banks, investors and end-users/ tenants. Our acquired expertise and experience has enabled us to develop and refine a wide range of skills and resources to meet the financial and cost control management needs of our clients’ investment programmes. Cost certainty requires proactive and dynamic project cost management. 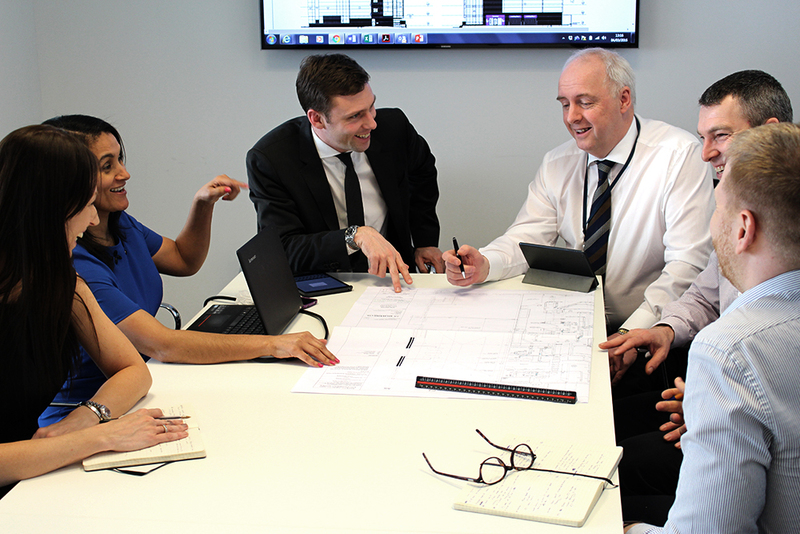 At Underwood Carpenter our cost managers will influence and lead at every stage of the cost management process. Working closely with the project team and client to ensure realistic investment assumptions are made when appraising the viability of projects. Developing accurate and robust cost plans based on properly evaluating all available data and the application of benchmarks and our extensive experience across most project types and sectors. A realistic cost plan is then benchmarked and managed through to completion. Recognising the fine balance between under spend and over spend and the adverse impact each can have on clients’ financial models. The aim is to ensure a level of certainty is provided to the client at each stage of the project with clarity around both risks and opportunities. Value engineering requires a good grasp and understanding of how a building is designed and put together. Our team are experienced professionals with a huge knowledge base to call upon in both divisions of the company. With an in-depth understanding of the influences and impacts key and timely decisions can have on design, buildability and life cycle costs, all VE opportunities are communicated and tracked at every stage of the process. Providing insight, industry knowledge in to different procurement strategies for different projects, sectors and economic environments. Taking the completed design and client’s requirements and preparing a comprehensive tender package and set of contract documentation that reflects accurately what the client wishes to buy. Our Involvement in a wide range of projects and sectors enables us to benchmark cost and specifications and share this industry data with our clients. The acquisition and/or redevelopment of real estate represents probably the most significant outlay of capital for a client. This may involve the purchase of a new site or the redevelopment and / or disposal of an existing estate asset. With a continuing shift in end-user space requirements, particularly in the retail sector we have many case examples where values have been maximised from the existing estate by downsizing, redevelopment or from simply generating the best disposal strategy. To ensure any type of project is both viable and feasible an appropriate level of work must be carried out. Our construction and property experts will work closely with the client’s construction and property teams on feasibility exercises, evaluation of options and costings to identify the maximum ROI and the right decision for the business. The role of CDM Coordinator (CDM-C) ceased in October 2015 and many of the functions which were previously fulfilled by the CDM-C are now carried out by the Principal Designer (PD).